Though all the critical praise and bluster around Spring Breakers only led to a $25m worldwide haul for Spring Breakers, it’s still kind of crazy to consider that Harmony Korine made a film that was promoted as hard as it was. Even that small total seems insane to pin to one of his films, when you consider Trash Humpers made literally 1% of that total. 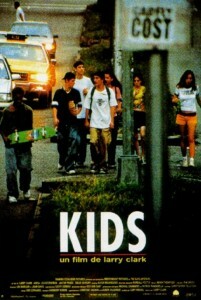 In any event, with Korine on the brain it’s a good time to think back to the film that started it all- Kids. Written by Korine and directed by the skeevy, now 70-year-old Larry Clarke, the film was an international alt phenomenon. Careers in acting and athletics were made, companies were shot to success, and audiences were shocked by the heightened images of underage debauchery in New York. Roger Ebert captured the sentiment of terror that arose in the minds of many that saw it. Leads Justin Pierce and Harold Hunter in particular saw their lives change in ways they’d always hoped for, but were not necessarily prepared to handle once the film became wrapped up in a cultural moment. 20 years later and both those lead actors have passed in tragic circumstances, while other stars like Rosario Dawson and Chloe Sevigny are now household names. They, along with many other contributor to the film have shared thoughts and memories with journalist Caroline Rothstein, who has assembled a fabulous retrospective on the film and the lives it touched. I would highly suggest you take the time to read a great piece about a singular film. And if you’ve not seen Kids, get on that right away. It’s perhaps said best by Jon Abrahams –one of the film’s leads– when he described Kids as a punctuation mark on an old-school sort of New York cinema.